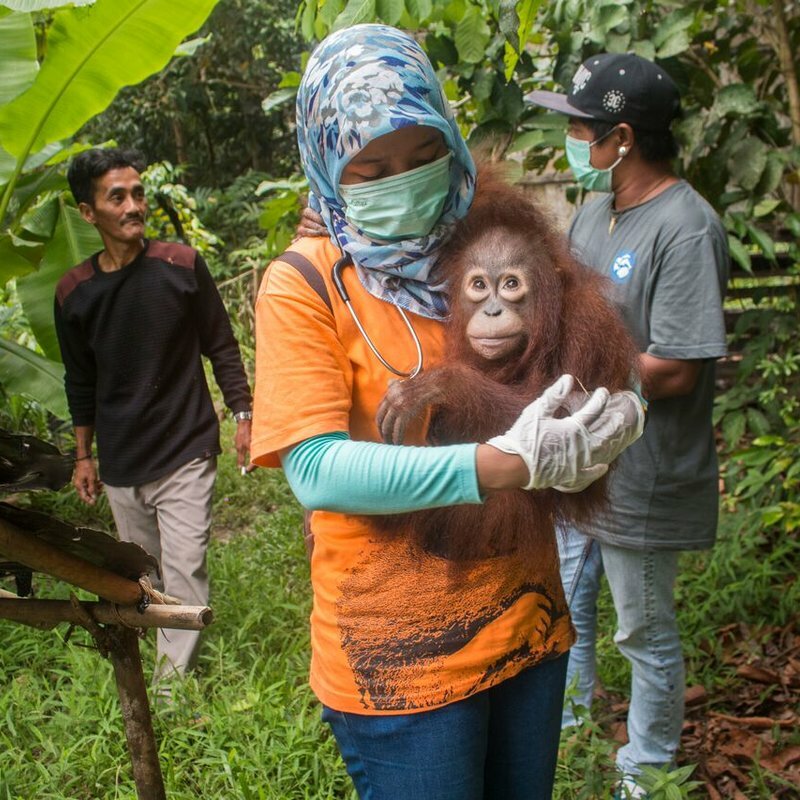 Last week, a team from International Animal Rescue (IAR) found Utu, a 5-year-old Bornean orangutan, on a property in West Borneo in Indonesia. 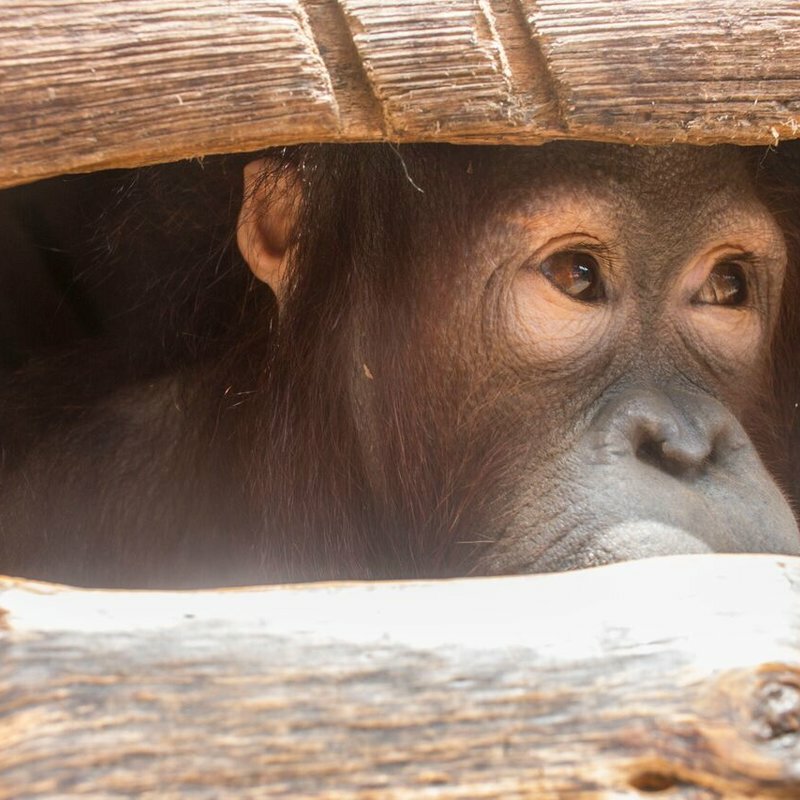 Utu had spent the majority of his life cooped up inside a tiny wooden cage, which was only about 3 feet by 5 feet. 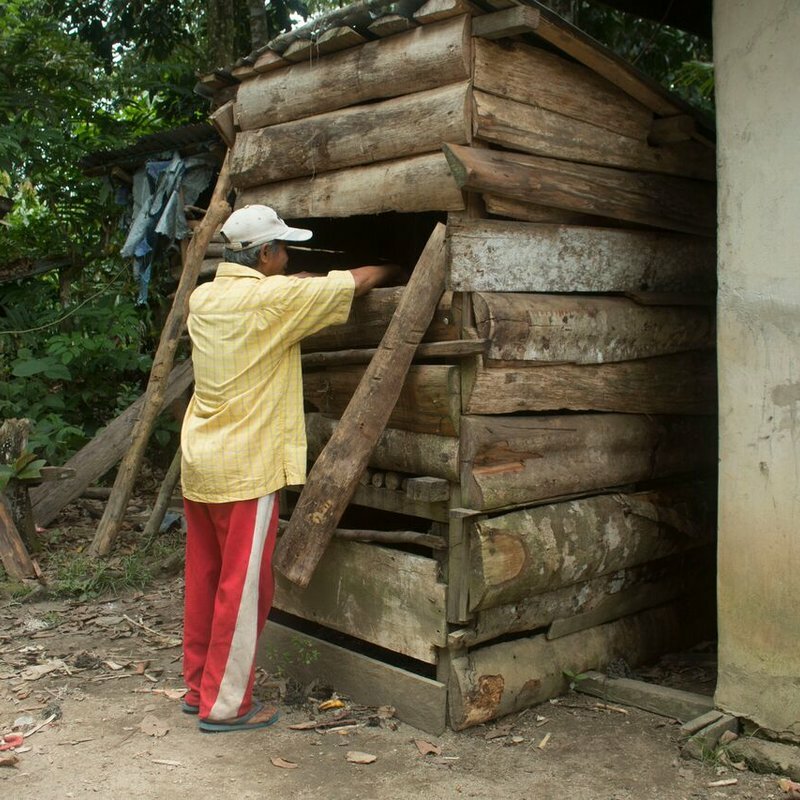 He ended up in there after people killed his mother in a traumatic way, then took him as a pet. 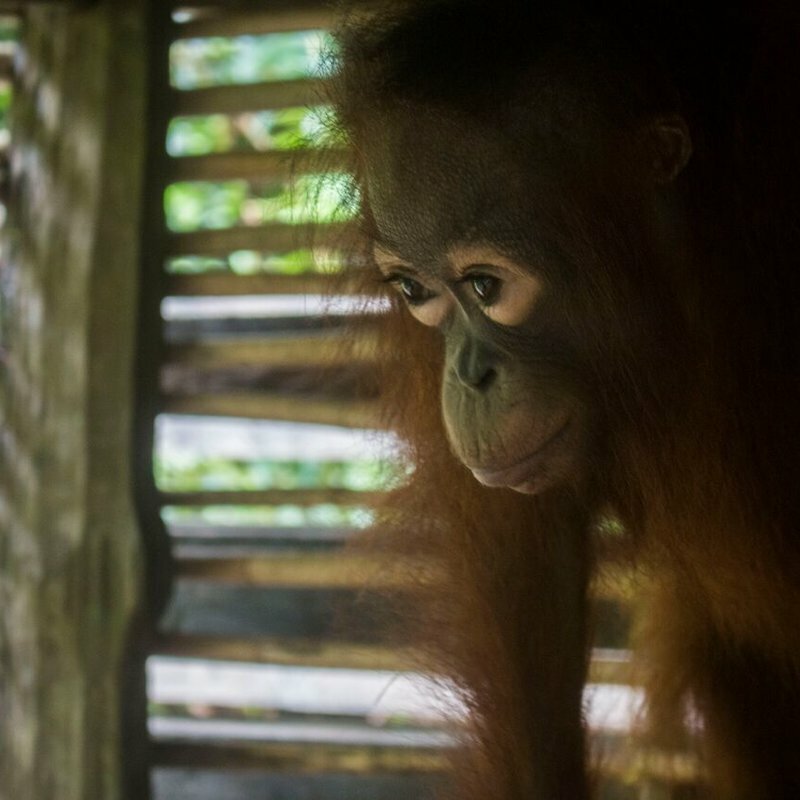 “Encountering orangutans being kept in captivity as pets is always sad, but … it is doubly sad to find two young orangutans shut away behind bars, without their mothers and far from their natural home in the forest,” Key said. 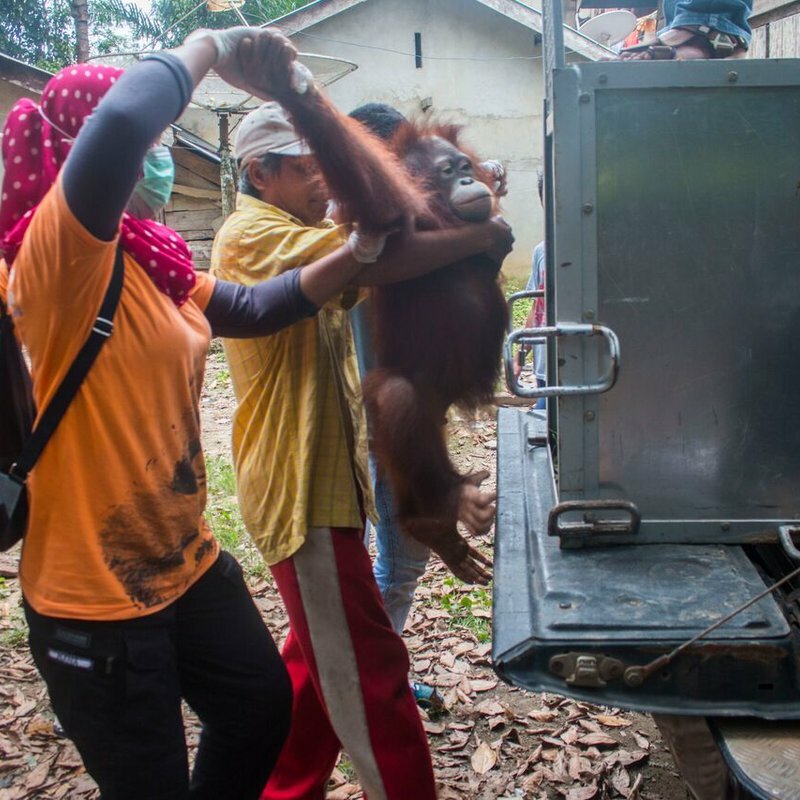 Utu and Joy are currently in quarantine at IAR’s rehabilitation center, where they’ll stay until the vet team is sure they’re not carrying any infectious diseases. 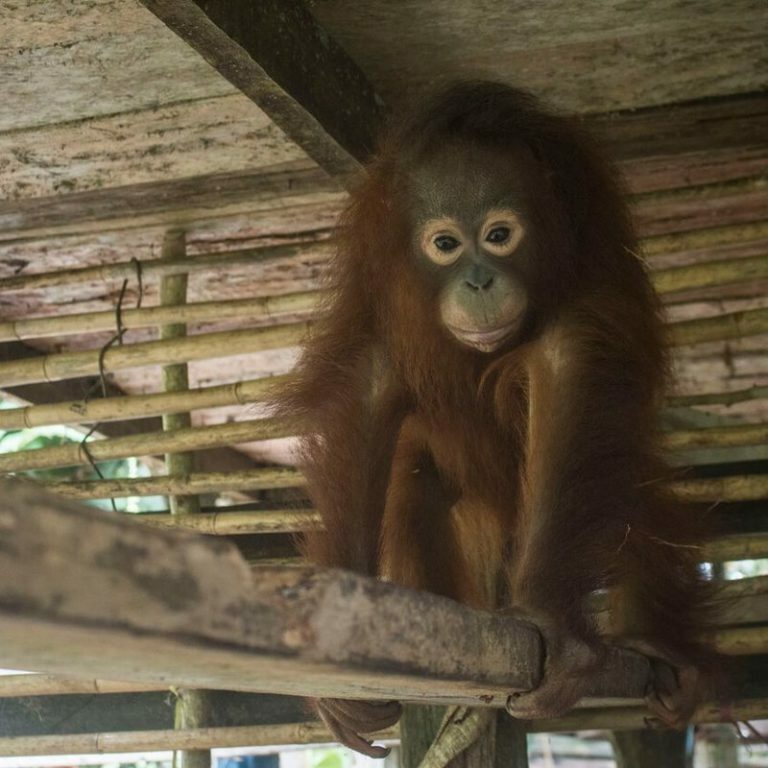 Once their quarantine period is over, they’ll be moved to large enclosures with hammocks, vegetation and plenty of enrichment activities. 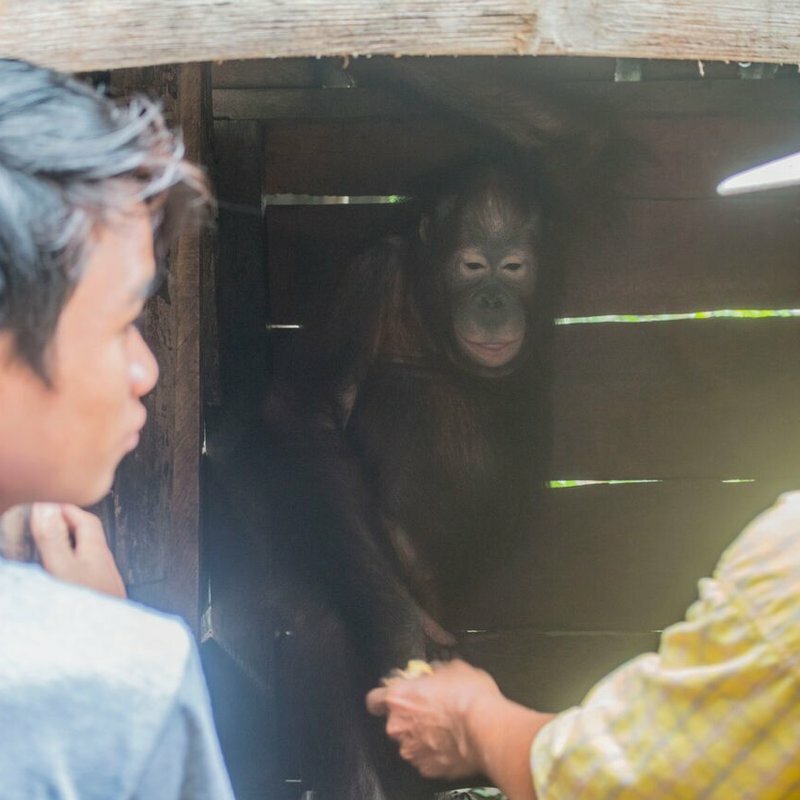 They’ll eventually even go to school with other orphaned orangutans to learn how to be wild gain.